We create, curate & automatically post engaging content to Facebook, Twitter, & LinkedIn, scheduled for you each week. 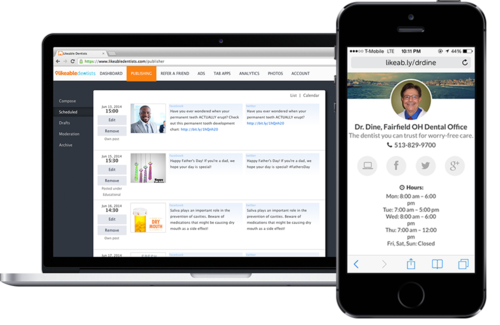 Now it’s Easy For Patients to Refer Friends Use your customized mobile website & landing page builder to generate referrals, reviews, contact requests, & more! 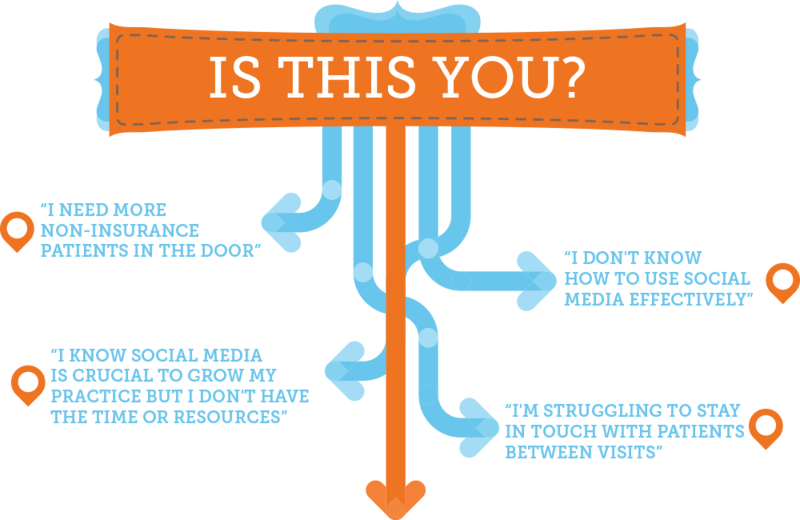 Control your social presence with Likeable’s mobile app! Now any team member can post practice content right from their mobile device. Facebook Tab App like Refer-a-Friend and others customizes and brings your practice Facebook page alive! We Use Likeable’s Proprietary TurboPost (TM) Technology which helps you automatically increase reach, engagement, and conversions on Facebook, Twitter, and LinkedIn. is included with all LocallyLiked packages free. Get notified when any new reviews are posted. Responding with appreciation or concern shows you are listening to patients. ReviewInviter Feedback Autopost ReviewInviter encourages patient feedback. When positive feedback is detected it automatically posts to your Facebook, Twitter, LinkedIn and Google Plus social channels. The experts at Likeable Local, creators of the Likeable Hub Platform are the Dental Facebook Experts. You get their award winning service along with important review and branding strategies with our ReviewInviter system. Our LocallyLiked Foundations package includes the complete Likeable Hub for Dentists package from Likeable Local, along with Review Monitoring, Feedback AutoPost, and several other ReviewInviter online reputation marketing features. Call us today for a quick demo. Finally an active Facebook page and a real Patient Review Strategy with limited or no staff time needed.